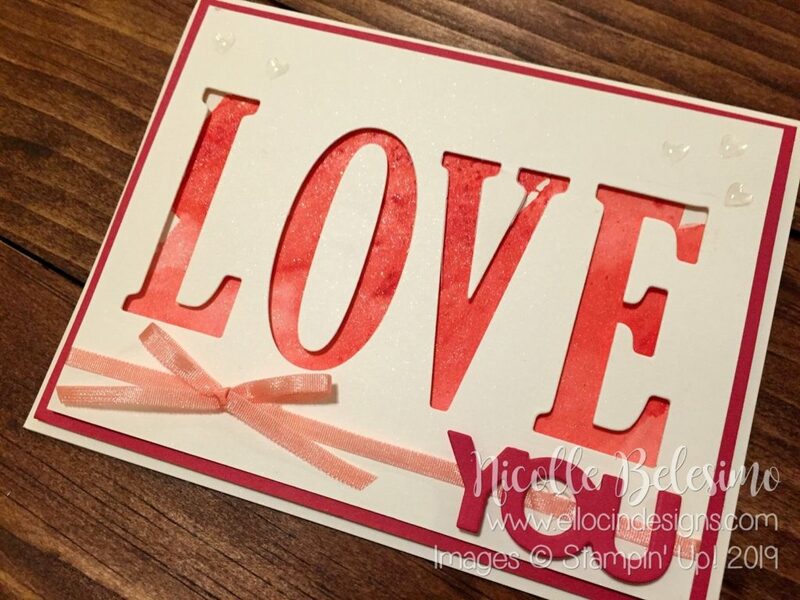 My card today was made with the Large Letters Framelits and Brusho Crystal Color. 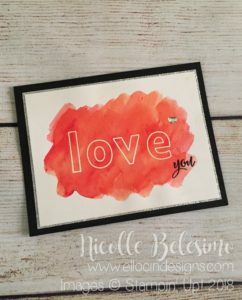 I wanted to make a card that said LOVE with the color showing from underneath. I used Shimmery White card stock for the base and top layer, as well as Lovely Lipstick card stock for the middle layer and “YOU” piece. 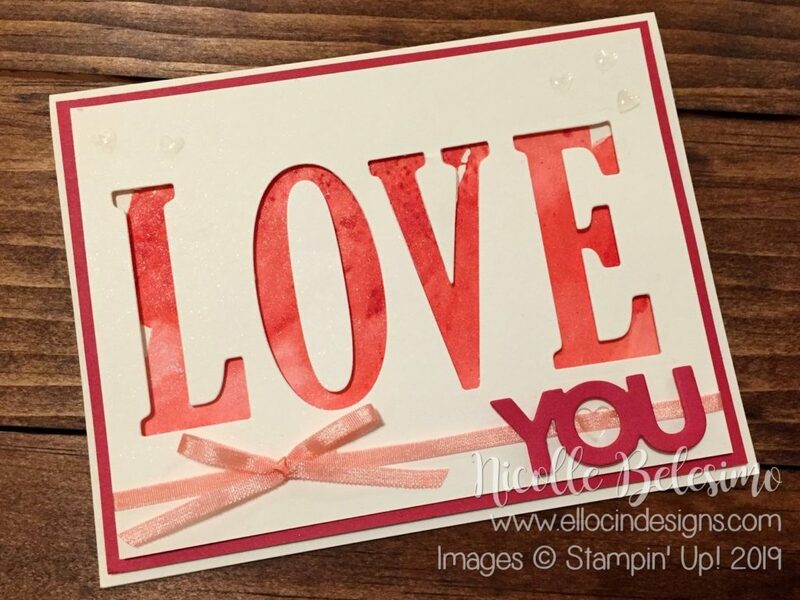 I also embellished with two NEW items from the All My Love Suite in the Occasions Catalog: the All My Love Ribbon Combo Pack and the Heart Epoxy Droplets! To make the colored portion of this card, I used a piece of Shimmery White card stock that was slightly smaller than my top layer. 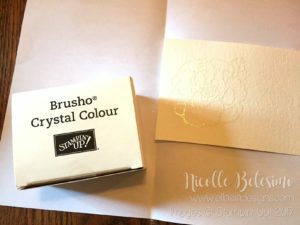 I tapped some of the Brilliant Red Brusho crystals onto the paper, spritzed it with a Stampin’ Spritzer, and then swirled it around a bit with an Aqua Painter. Once that was done, I set it aside to dry. While it was drying, I cut out the letters for “LOVE” on my Big Shot, as well as the “YOU” piece with the Celebrate You Thinlits. Once the colored layer was completely dry, I assembled the card using Snail adhesive and Dimensionals. 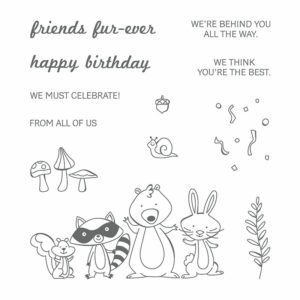 There is no stamping on this card as of now, however, when I eventually send it to someone, I will probably stamp a sentiment on the inside! Hope you like it! Thanks so much for stopping by today! 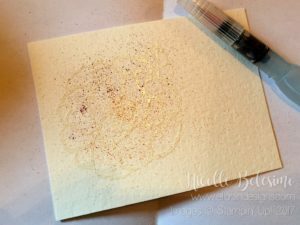 Today’s card has a watercolored background with a simple heat embossed sentiment! The background was made using Brusho Crystal Colour, and is a combination of Red, Gamboge, and Yellow crystals. 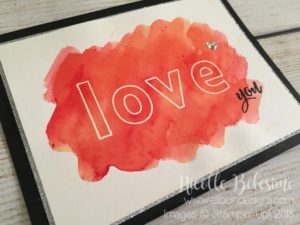 It was colored on Shimmery White Cardstock, and once dried, was stamped with the letters for LOVE using the NEW Lined Alphabet stamp set, available June 1st! 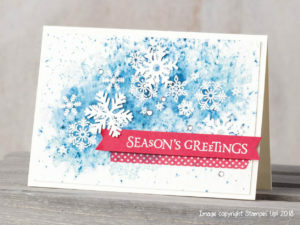 The letters are heat embossed using Versamark ink and White Stampin’ Emboss powder. 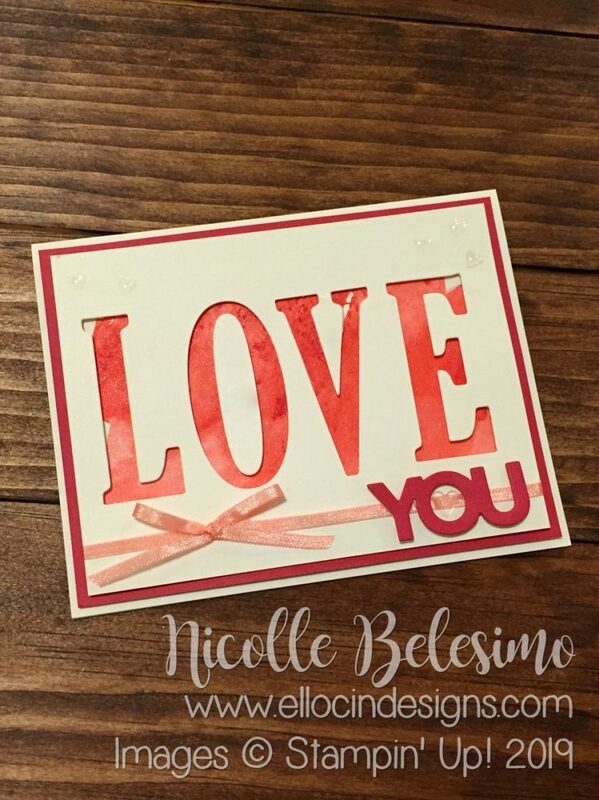 The “you” part of the sentiment is from the Love What You Do stamp set. 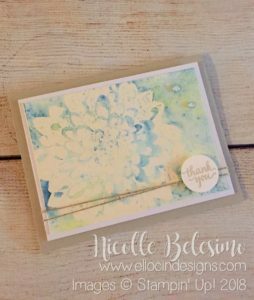 I used the Thank You stamp and masked off the “thank” part with scotch tape, inked up the rest, removed the tape, and stamped it on the card. 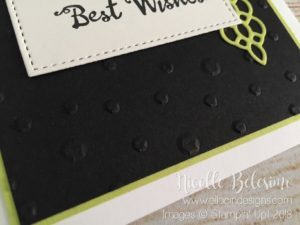 It’s stamped in Basic Black to match the card base! The card is finished off with a silver heart from the Metallic Enamel Shapes, one of my favorite embellishments ever! Sadly they are retiring this year! But you get still get them for a limited time in the online store! They are available while supplies last, or until May 31st! Well that’s it for this card! It’s a pretty straightforward and simple design! Hope you like it! 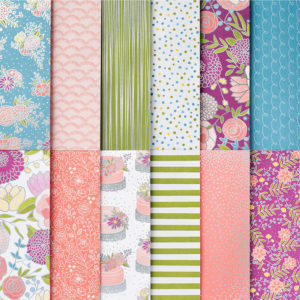 Every year when the Occasions Catalog comes out, I get so excited about everything that’s new, that I often (temporarily) forget about all of the amazing products still available in the Annual Catalog! So this weekend, I focused on making sure to feature Annual Catalog products in everything I created! 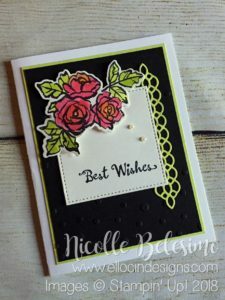 For this set of cards, the Detailed Floral Thinlits Dies is the main product I used from the Annual Catalog. 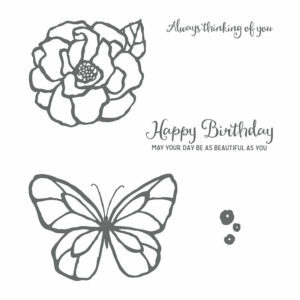 I mounted the die cut layer directly onto a thick Whisper White base, added a strip of white cardstock, and stamped the sentiment from the Picture Perfect Birthday set in Smoky Slate. I finished it by adding a white organza ribbon bow and some pearls! And that’s it! I’m not sure which one of these I like better, but I know I really love the color variation of the Brusho on both! Which do you prefer? Apparently, one of my darling minions children messed with my alarm clock yesterday and changed the time for my alarm to go off! Needless to say, I got up late today, so this is going to have to be a short post for now! (Add one more thing to the list that I have to double check from now on! I’m starting to lose track!) LOL! 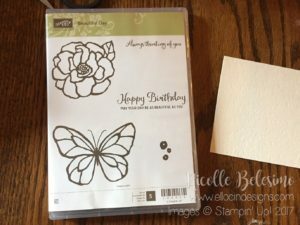 So anyway, for this card, I used Brusho and my Stampin’ Spritzer. 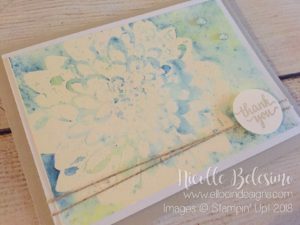 I heat embossed the flower in white on water color paper using the Definitely Dahlia background stamp. Then I sprinkled the Prussian Blue Brusho crystals very lightly over the card. I didn’t want the color to be super dark, so I was very careful not to use too much! I then spritzed the water and let the crystals go wherever they were going to go! I let it sit for a minute or so, then dabbed with a paper towel to absorb some of the excess color and water. I then added a very small amount of the yellow crystals and repeated the above steps. I only wanted just a hint of yellow here and there, so I was very careful about where I put the yellow! Once again, I can’t tell you how much I LOVE the Brusho Crystals! They are a lot of fun to experiment with! Now I gotta run so I can get my kids out the door on time! Hope to see you back soon! 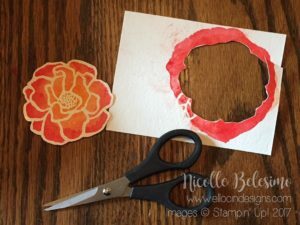 As I was getting ready to write today’s post, it occurred to me that I have used the Petal Palette stamp set or full bundle on a LOT of recent projects. I guess I really like it! The Brusho colors that I used on the flowers are Brilliant Red and Gamboge. The leaves were watercolored with Lemon Lime Twist, as I wanted them to coordinate with the middle layer and trellis looking die cut on the right. That die is also from the Petals & More Thinlits. I love the contrast of the bright colors against the black and white! Now that Occasions and Sale-a-Bration are in full swing, I wanted to share with you some of my favorite products! Here are my top ten fave products from this year’s catalog! 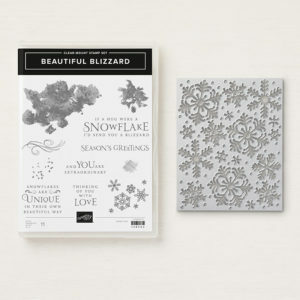 This bundle contains both the Petal Palette stamp set and Petals & More Thinlits Dies. There are 15 rubber stamps in the set and 10 dies. Available in both clear-mount and wood-mount. Kit contains components to make 16 birthday cards, 4 each of 4 designs. Also includes a beautiful storage box to keep them in! Watercolor ink crystals that when mixed with water explode with color! Five different colors included! Use with aqua painters, spritzers, and more! 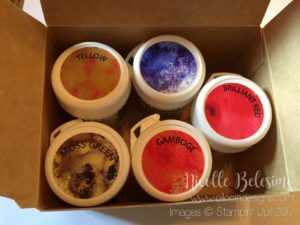 This set includes 5 rubber stamps and is available in both clear-mount and wood-mount. This adorable bundle is definitley a must have! 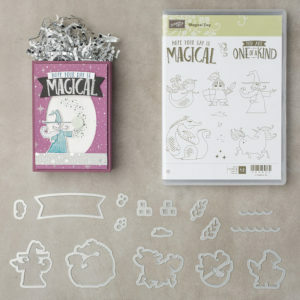 Contains both the Magical Day stamp set and Magical Mates Framelits dies. Contains 12 stamps and 16 cutting dies. Available in both wood-mount and clear-mount! 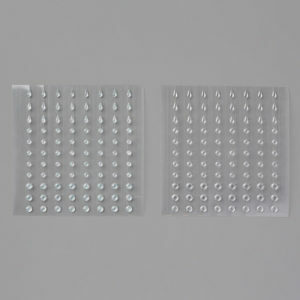 12 sheets of 12 x 12 inch paper with silver foil accents! Acid free and lignin free and beautiful colors! 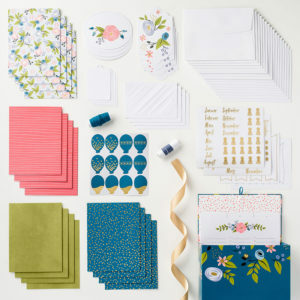 This adorable set comes with 12 stamps, and is available in both clear-mount and wood-mount! These little critters are SO cute! 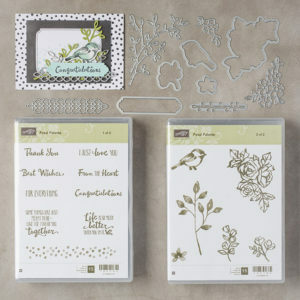 This bundle includes both the Sure Do Love You stamp set and Lots to Love Box Framelits dies. Contains 9 rubber stamps and 10 dies. Available in both clear-mount and wood-mount. 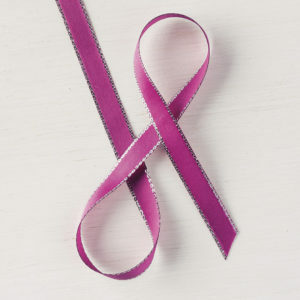 Glossy Satin Ribbon with silver metallic edges. In beautiful Berry Burst! So these are my top 10! What are yours? Today’s card is another project that features the new Brusho Crystal Color! I LOVE this new product! It is so much fun to use and so colorful! 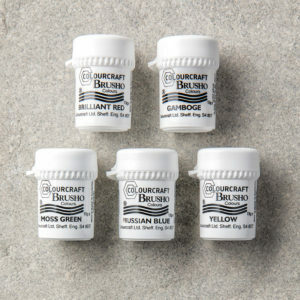 Brusho comes in a set of five different colors including Brilliant Red, Gamboge, Yellow, Moss Green, and Prussian Blue. For this card I used the Prussian Blue, with just a hint of the yellow as well. 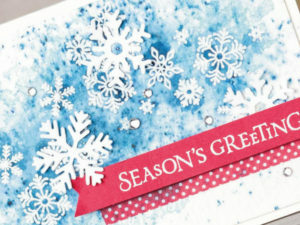 The top layer of this card is made from Shimmery White cardstock. 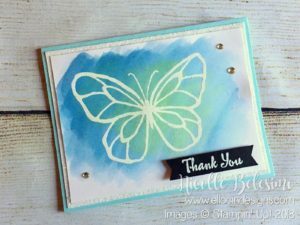 I heat embossed the butterfly from the Beautiful Day stamp set in white embossing powder, then applied the blue Brusho crystals and colored them with an aquapainter. You don’t need a lot of crystals at all! The colors are so vibrant, that for this lighter blue, I used very, very little! I then sprinkled just a tiny bit of the yellow and colored that with the aquapainter as well. While it was drying, I made the sentiment piece. The banner is 1/2 inch wide, and I trimmed the ends using the Triple Banner Punch. 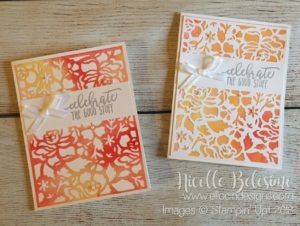 I then heat embossed the sentiment using the same embossing powder. 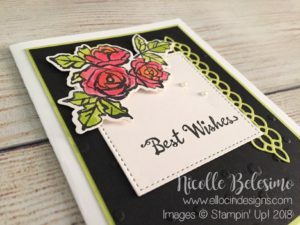 The sentiment is from the Petal Palette stamp set, another one of my favorites things from the new Occasions catalog! Once everything was dry and cooled, I assembled the card. The card base is Pool Party, the middle layer is Dazzling Diamonds Glimmer Paper, and as mentioned before, the top is Shimmery White. I used Fast Fuse adhesive between the top and middle layers, as it holds much stronger to the glimmer paper than regular snail adhesive. The sentiment piece is attached with dimensionals to make it pop a little! I added a couple of silver Metallic Enamel Dots, and it’s good to go! For more about Brusho, please click here. My First Brush with Brusho! Each canister measures about 1-3/4 inches tall, but contains a LOT of crystals! And you only need a very small amount, as you’ll see below. Also, for the colors that are “blends”, such as the Gamboge and Moss Green, the crystals are mixes of two colors, so when you use them, you get some great variation in the finished color! So for example, the Gamboge is a mix of red and yellow crystals. 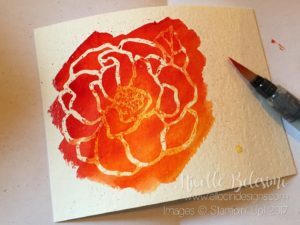 You can either blend a little and keep some flecks of red and yellow OR you can blend them completely to get the orange! The first thing I did with mine was use my Paper Piercing Tool to punch a hole in the top of each canister. I didn’t open the canister at all first, just punched a hole right through the label and everything. I did this to make a shaker out of each canister. As a side note, if you don’t have a Paper Piercing Tool, I highly recommend getting one! I use mine ALL the time, and probably the only thing I don’t use it for is paper piercing! 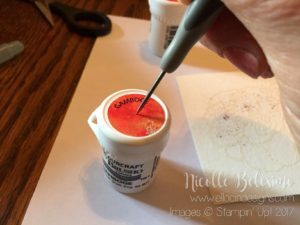 In addition to punching holes in the Brusho containers, I also use it to apply small embellishments to projects, punch small pieces from die cuts, remove layers and pieces that I want to move after I’ve applied them to projects, and so much more! It is a VERY versatile tool to have, and should definitely be part of any stamper’s toolbox! See how vibrant the colors are? Even just from that tiny amount of crystal powder! As I mentioned above, you need very little to get bright, brilliant color when using this! How gorgeous are those colors? I then added the water to the whole flower and got that gorgeous red I was looking for in the outer petals! Again, see how much color you get from a small amount? 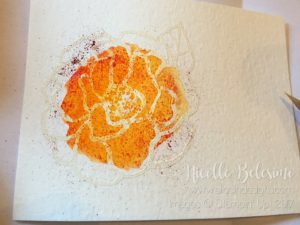 Even though most of the yellow blended in to the gamboge, I decided to go ahead and use this flower on my finished card! I blended the colors a bit more first, let it dry, and then fussy cut it using Paper Snips. In the catalog, it shows a quick picture tutorial of how another way you can use Brusho, by applying the water first, then adding the crystals and blending, which is the opposite of how I used them here. Check it out on page 26 of the catalog if you have a chance! Either way, you get bright, beautiful color that will look great on finished cards, tags, and more! I hope you’ve enjoyed my Brusho post! Brusho will be available starting January 3rd in the online store! Have a great day! 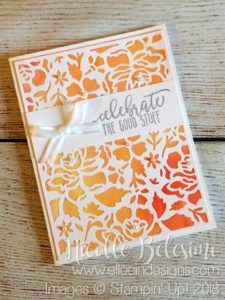 Bold Floral Card with TWO of My Favorite Occasions Products! 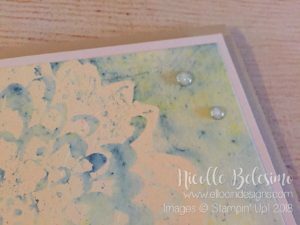 Today’s card features two of my favorite NEW Occasions products: the Beautiful Day stamp set and Brusho Crystal Color watercolor crystals! 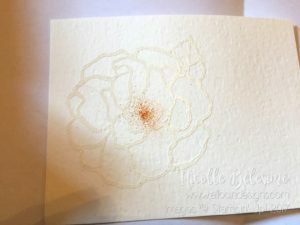 To start, I heat embossed the flower in white embossing powder on watercolor paper. I then applied the Brusho, and colored with an Aquapainter to get the bright, bold colors! (I am not going to talk too much about the Brusho today, as I plan to do a whole post about it tomorrow. I hope you’ll check back for the details then!) But I will say this: it is SUCH a fun product to use! 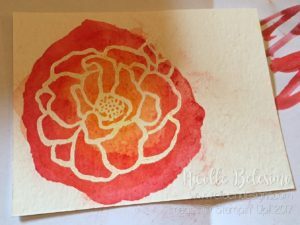 If you love watercoloring, or love how watercoloring looks on projects, you are definitely going to want to give it a try! Don’t let the plain black and white packaging fool you! There’s a whole bunch of color in that unassuming little box! 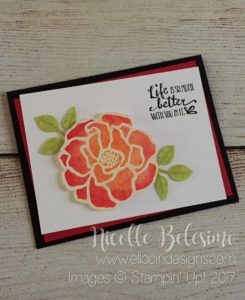 Once the flower was colored and dry, I layered the top layer of the card with Real Red cardstock on a Basic Black base, stamped the sentiment from Petal Palette in black, and added some leaves in Lemon Lime Twist. (I stamped and punched the leaves with the Painted Harvest Bundle, and used Versamark ink on the veins of the leaves, just to add a hint of detail.) 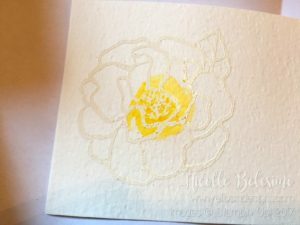 The flower was fussy cut with Paper Snips, and applied to the card with Dimensionals, so it pops off the card a bit and really stands out! Tomorrow’s post will be all about Brusho! Hope you’ll check back to learn more about this new product and how fun it can be to use! Have a great day!